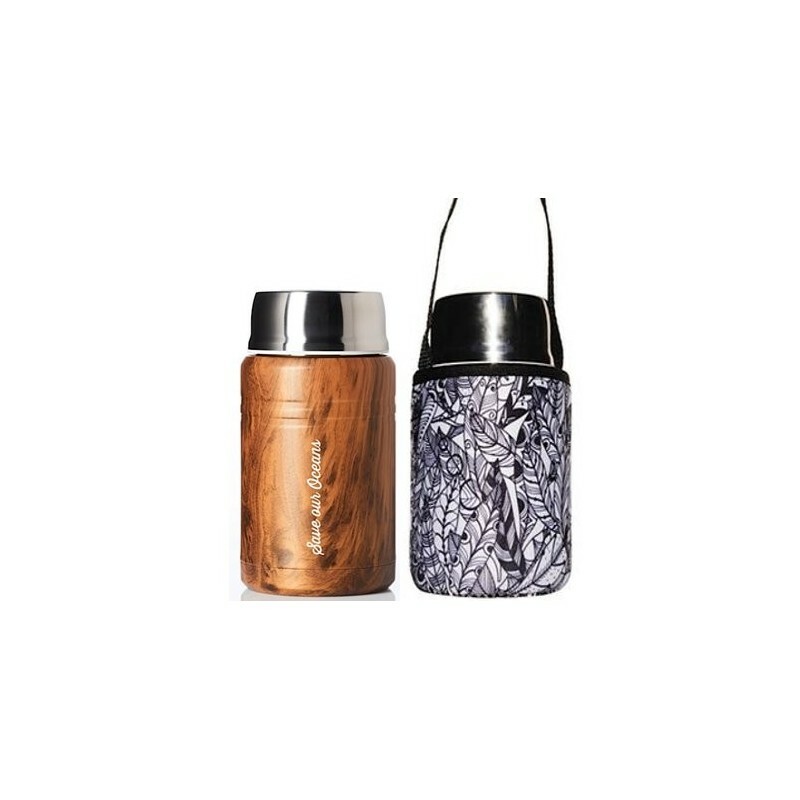 A woodgrain design thermal food jar with a black and white feather print insulating sleeve. This stainless steel thermal insulated food container keeps food hot for 12 hours and cold for 24 hours. Comes with collapsable soon in lid. 500ml. Buying this product = 50 Reward points for Members. Your cart will total 50 points = voucher of $2.50. Not a Member? Join at checkout to claim these points. Reusing an insulated food jar is an eco-friendly solution to using disposable plastic containers. 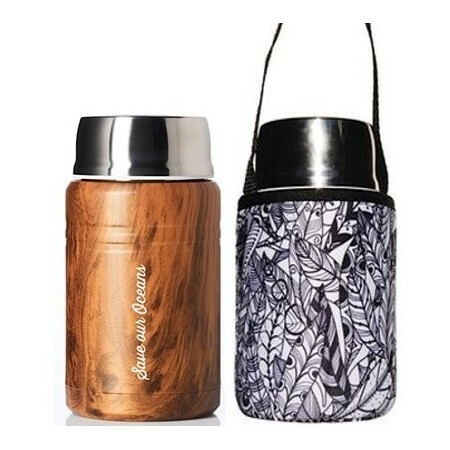 Keeps food cold (salad, sushi) for 24 hours & food hot (pasta, rice, soup) for 12 hours. Not for use with fizzy liquids. Always underfill when using hot liquids such as soup to avoid burns. Thick protective cover protects and adds an extra layer of insulation. Carry handle slips over wrist for easy carrying and zipper for easy removal. Neoprene insulating sleeve with carry handle. Foodie: 15cm height x 8.5cm diameter. Made in China. Australian company. * food does collect a little around the inside "shoulder"
* the photo does make it look more elongated, actual product is more stout.